Are you ready to take the plunge? 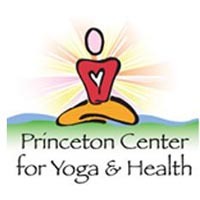 Whether you’re looking for a traditional 200 hour yoga teacher training program, a flexible schedule, an advanced training, or a weekend of CEUs, there’s something for you this winter in the Philadelphia area! Not sure what type of teacher training is best suited for you? Read about different types of yoga teacher trainings here. These teacher trainings are geared towards aspiring teachers – although many students enjoy the training without seeking to teach. The majority of these trainings follow guidelines provided by Yoga Alliance so that graduates can register with Yoga Alliance and designate themselves as RYT, Registered Yoga Teacher. Shanteel Yoga Sanctuary is offering our 200 hour Registered Yoga Teacher Training (Yoga Alliance Certified) led by our team of Collaborative Master teachers Elle Kaplan, Christina Kaplan, Sally Delisle, Karin Eisen & Claudine Schuster. Weekend format, payment plans available. This 200 hr series will cover a range of topics to deepen understanding of yoga techniques, methodology, philosophy, and anatomy. The course meets all RYT Yoga Alliance Standards. Deepen your practice, share your gifts at an established studio repeatedly awarded Best Studio in Montgomery County! The Yoga Garden 200-hr. 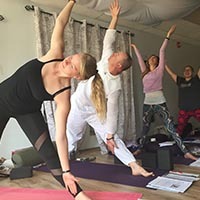 Vinyasa Yoga Teacher Training program will give you the tools, techniques and knowledge to safely and dynamically guide students toward their own understanding. This 200-hr Teacher Training is a comprehensive course that teaches you the philosophy and physics of this life-changing art. OPEN enrollment, join at any time! YogaLife’s 20+ year mission is to educate and empower students to use all the tools of Yoga to practice & teach clearly and effectively. 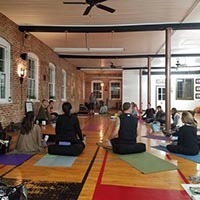 YogaLife’s unique lifestyle-based approach focuses on personal growth & professional development in an uplifting community environment. Learn to teach yoga and deepen your practice with this foundational 200 hour yoga teacher training program. This course is ideal for serious students of yoga and aspiring teachers. This training program explores yoga philosophy and scriptures, ayurveda and applying ayurveda to teaching, and Jyotish (Vedic or Indian Astrology). 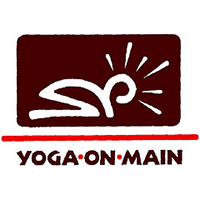 Established in 1992, Yoga on Main (Inner Fire Yoga, LLC), is the oldest and most respected Yoga Alliance Certified Teacher Training Program in the area. Check out the YA ratings from our graduates. Authentic, traditional hatha yoga training that is well rounded and time-tested with highly qualified instructors. 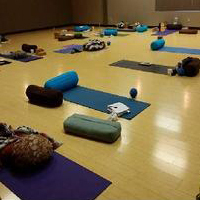 A KRI certified 220 hour Aquarian Level 1 Teacher Training hosted at Collegeville Yoga Bar. 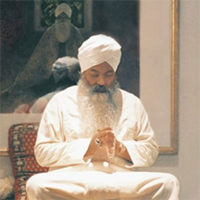 This 8 month program is led by Siri Neel Kaur Khalsa. Tuition starts at $2800. Time to answer that calling within, that desire to make a change and become the teacher you were always meant to be! Train in an open, warm space with instructors and staff that are passionate and teach from the heart. Sue and Naime are recognized internationally in the yoga community as teacher trainers with over 25 years of yoga experience. 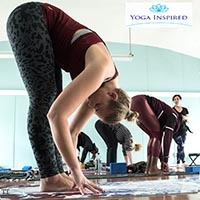 Their in-depth knowledge of alignment, biomechanics and yoga philosophy allows serious students to take their practice to the next level and learn the tools of becoming a great yoga teacher. These advanced trainings are for teachers who have completed a 200-hour program. The 300-hours of additional training will allow them to be designated as RYT-500 which means they have completed both 200 and 300 hour trainings that meet Yoga Alliance standards. This inspiring, thorough & effective curriculum is designed to bring empowerment to your body, clarity to your mind and expansion to your heart at the most refined level. You will become re-inspired as you stretch & grow to a new potent and profound edge where mastery, fluency and wisdom is gained. With a strong focus on Yoga Therapeutics, Self-study (svadhaya) and Loving Kindness (metta), our 300 hour program builds on the foundational knowledge you received in your 200 hour training. This training is Yoga Alliance certified. Not modular, not corporate, each student receives generous time and attention. OPEN enrollment, join anytime! 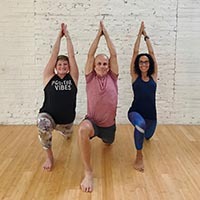 YogaLife’s goal is to offer continued guidance and insight to expand your personal understanding of yoga as you refine/expand your teaching skills. The 2 year program is a journey of self-discovery and yoga teaching integration in a supportive and uplifting community environment. The Advanced Program is an authentic study of the dynamic, traditional relationship between the sister sciences of Yoga & Ayurveda in the Indian Vedic tradition known as Sanatana Dharma, the path to Eternal Truth. It provides teachers with an insight into the nature of their students unavailable without this study. When you enroll in the Himalayan Institute’s 500-hour teacher training course, you don’t just train to become a teacher—you get the opportunity to participate in one of the best teacher training programs in the nation, and learn from some of the most experienced yoga teachers alive today. These trainings are geared towards those who want to expand their yoga teaching skills and specialize. Many certified yoga teachers will opt to continue their training with programs like these. Some of these trainings do not require yoga teaching certification and are open to anyone interested. Ready to dive deeper into Yin to bring more presence and inspiration into your teaching? Join Val Boyko E-RYT-500 YACEP for a transformative Mentor program that explores the essence of Yin, adds more tools to your ToolKit, and supports your growth as a Yoga Teacher. Venue: Good Karma Yoga in Media. 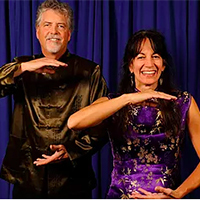 This is a comprehensive 100 hour course that will prepare you for teaching qigong to groups and individuals. The training takes place over 4 months, meeting 1 weekend a month and includes attending weekly classes, individual self-study and logged practice time. A radically different way to do yoga, one that dissolves pain in only 20 minutes — this is Svaroopa® Yoga. Also called “laser-beam yoga,” these poses target the spinal compression that causes your pain. Breakthroughs come easy, no sweat and no strain. Learn how it works in this free program. Learn to teach a holistic class that uses all aspects of the yoga practice to meet children’s physical, emotional and social needs. The Level One LFY intensive will provide you with the fundamental understanding and tools needed to teach a well rounded class that incorporates all aspects of the practice. Learn how to yoga to children ages newborn to ten years old. Topics covered include asana, songs, games, professionalism, and classroom management. This certification is taught by Stefania Maiale, an e-RYT 200 and elementary education teacher with 16+ years of experience. A radically different way to do yoga, one that opens up your body in minutes – this is Svaroopa® Yoga. Also called “laser-beam yoga,” this yoga targets and dissolves the spinal compression that causes your pain and limitations. Breakthroughs come easy no strain – no sweat! Learn how to work with your body in a whole new way. Learn to teach a holistic class that uses all aspects of the yoga practice to meet children’s physical, emotional and social needs. Learn mindfulness; meditation practices that enhance students’ capacity for emotional regulation, focus and good decision making. 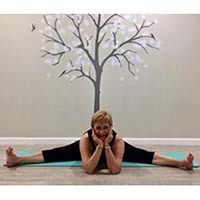 Join Val Boyko, E-RYT500 YACEP, and a small group of dedicated yoga teachers to bring more presence and a sense of balance into the lives of your students and yourself! In this program, you will explore the essence of Yin, add more tools to your teacher toolkit, and be supported in your growth as a teacher. Vinyasa Fusion Flow… The Art of Meditative Posture + Mindful Movement! 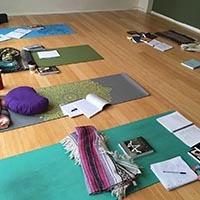 This training is designed for thoughtful students seeking to expand their understanding of the Yogic Arts and to cultivate it into an art of teaching that makes it accessible. Investigate lifestyle, body mechanics and physiology as it relates to certain poses/posture flows that stem from this rooted martial/internal arts tradition. Get more opening in five days than ever before. Discover physical changes that open up mystical inner experiences. Svaroopa® Yoga is revolutionary! Learn hands-on adjustments and teaching methodology for 16 poses, enough to teach intro classes in Svaroopa® yoga. You’ll be amazed at how this yoga changes you. Chair Yoga is a unique yoga style that adapts yoga positions and poses through creative use of a chair. The chair replaces the yoga mat and becomes an extension of the body. The student is able to warm up the body safely and perform yoga poses with more support and stability. 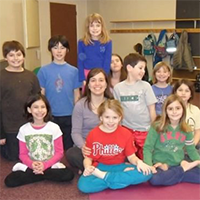 Learn to teach a holistic class that uses all aspects of the yoga practice to meet children’s physical, emotional and social needs. Receive tools to effectively create curricula and teach with your own authentic presence and spend time learning to develop activities based on your personal practice.